Have You Said the “S” Word Yet? It’s another bright day. Hope your’s was also. Anyone else thinking the “S” word yet? Well, not to jinx it, but with all this color thought of late, these warm days just naturally stirred up yearnings for a seasonal change. I just couldn’t help myself … had to do a little Spring decorating. 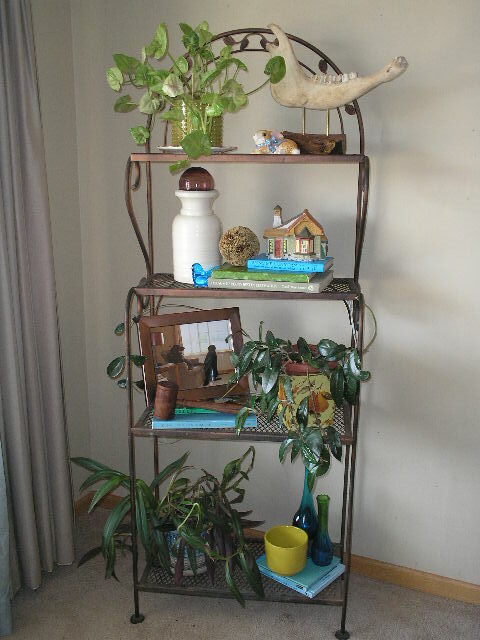 This week I spruced up the living (front) room, changing out the door wreath, shelf unit and the mantel. 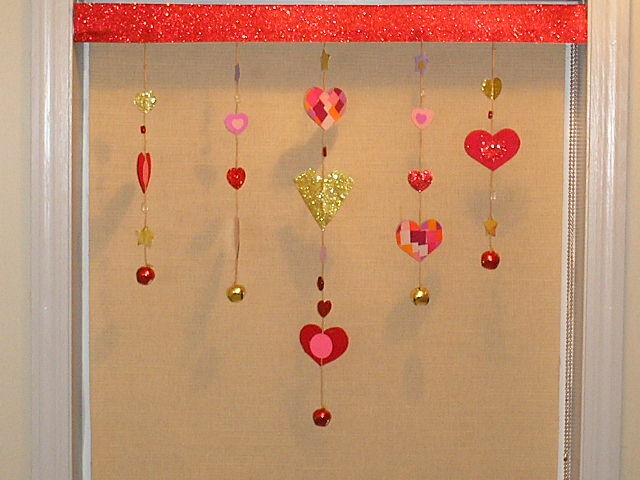 My “Wreath for All Seasons” was hanging, lonely and bare, after the reds of Christmas and Valentines were removed. Enough spring stuff was found in the craft room, to liven it up quite a bit. It seemed a little early for roses … so I didn’t include them. I was happy with the results. How about you? 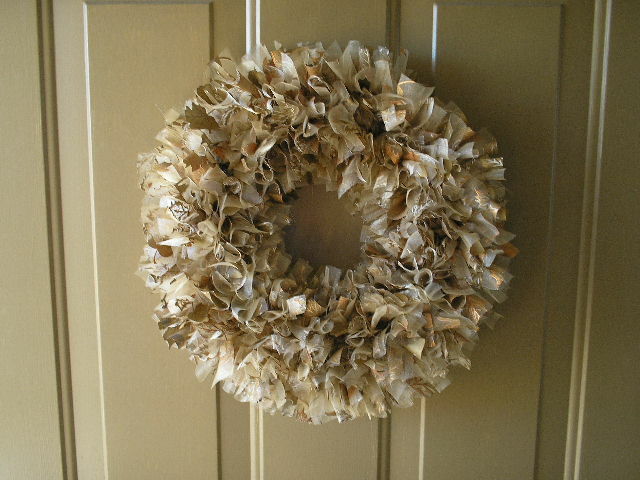 Remember, this wreath was specifically designed to be changed out for different occasions, so all pieces are attached lightly, with double sided tapes, or just wired in to the original frame; allowing for quick and easy change out. You all know how changeable I am. The fireplace … in its’ new location now, under the big clock, looked like this earlier. I was never completely satisfied with this vignette. I made a raid on my fabric remnants and found this pretty green piece to ground things. From there a little house shopping and some experimenting produced this look. It says “Spring” don’t ya think? 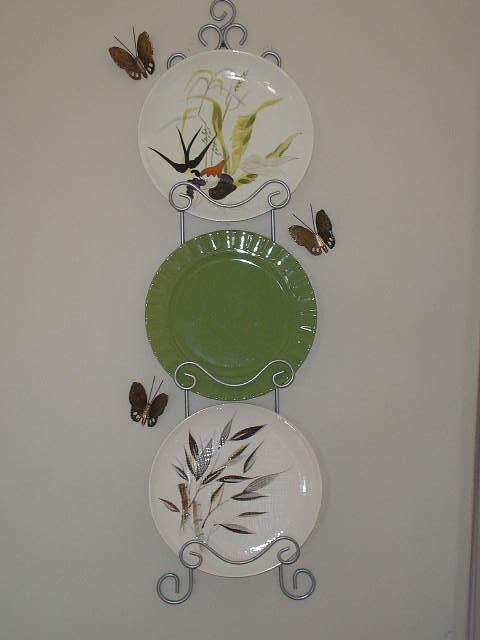 The plate holder by the front door, got a color change with the green plate, and a few butterflies came over to play. On the standing shelf unit currently in that room, once again the reds of previous holidays were removed, and we went towards the blues and greens to liven up that corner. The JAW takes top shelf here. Greenery and the Easter Bunny are a bit springy. What’s your reaction to the JAW? I note that it’s a 50/50 swing … people either love it or detest the thing. Such was the playout when I found it. A friend and I were at a barn sale, and I immediately HAD.TO.HAVE.IT. She, on the other hand, thought it was weird … but she’s used to me, and knew I would get it. It was just the jaw piece. I had HUBS use some gorgeous walnut for a base, cut two brass rods and drilled everything out for a perfect fit. The walnut block was left natural, but mineral oil was rubbed in for that beautiful dark dazzle. Well, a pretty short set today. Lots of articles in the works, so I’ll be back soon. 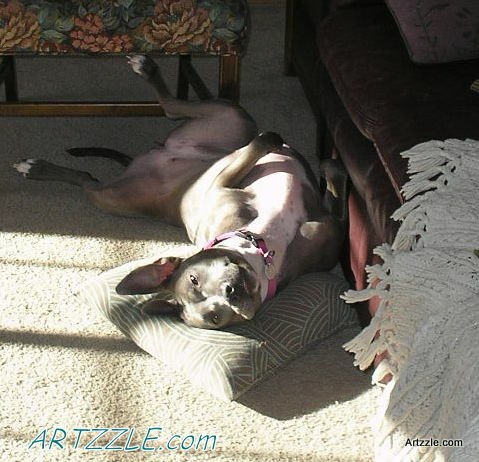 Gracie loved the sun this day. Say goodnight, Gracie.